When you’re learning a foreign language, you have to immerse yourself in the culture in order to understand not only it, but the language as well. I listen to as many Albanian songs as I can get my hands on, especially when I can find the lyrics. They have helped me tremendously! I thought I would share my top 5 favorite Albanian language-learning songs with you guys. 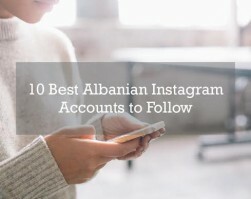 To be clear, these aren’t necessarily my absolute favorite Albanian songs, just the top 5 that I like and that also taught me a lot of new words. 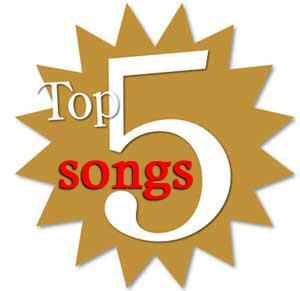 Number 5: My 5th favorite song is “Nëse Thua Po” and it is by Alban Skenderaj. He was born in Lushnje, Albania to parents who are from Vlora. The song is about asking a girl to marry you and it’s so sweet. I learned the phrases “Nese ti me do pa asnje kusht” (“if you love me unconditionally”) and ” jetoj vetëm për ty ” (“I live only for you”) from this song. Here are the lyrics and there are English translations too! 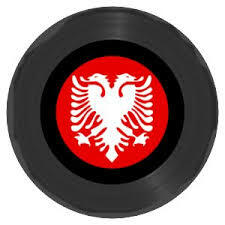 Number 4: My 4th favorite Albanian song is called “Ngjyra e kuqe” and it is by Adrian Gaxha ft Floriani. Adrian Gaxha is 31 years old and was born in Shkup/Skopjë, Macedonia. 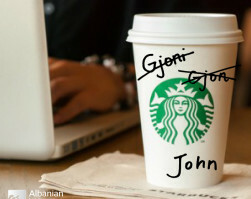 He is very well-known, mostly for his ability to sing Albanian ballads. Floriani, or Florian Beqiri is a 15-year old Albanian teenager, also from Skpojë/Shkup and has recently been taken under Adrian Gaxha’s wing in the music world. Floriani is also managed by Adrian Gaxha. I learned the word “xhan” (“soul/sweetie”) and “ledhatoj” (“to caress) as well as the phrases “I çmendi krejt djemtë anë e mbanë” (“She makes all the guys go crazy”) and “Të gjithë duan ta kenë pranë, por kot e kanë” (“Everyone wants to have her, but they are wasting their time”) from this song. Here are the lyrics, again with an English translation. 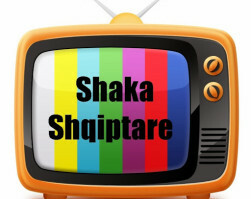 Number 3: My third favorite Albanian song is “Të Ka Lali Shpirt” and it is sung by Silva Gunbardhi ft. Mandi ft. Dafi. Silva Gunbardhi is an Albanian from Albania, hailing from the city of Vlora. She comes from a family that has a great love for music and she continues the tradition. Not much is known about Mandi. He 23 years old and comes from a very poor family in Durrës. According to Tekste Shqip, he has a significant other named Adelajda, to whom he has dedicated a song. Dafi, known also as Dafi Derti, whose real name is Dëfrim Derti is from Dibër, Albania. He is most well-known for this song. The lyrics can be found here, in Albanian and English. From this song, I learned the phrases “S’të gënjej” (“I do not lie to you”) and “shumë më shumë të dua” (“I love you more and more”). Not to mention that this song helped me understand terms of endearment like “shpirt” (“spirit”), “xhan” (“soul”) and “zemer” (“heart”). I’m not going to lie: I still don’t completely understand what “lali” or “të ka lali, shpirt” means. I assume it means something along the lines of “I’m hung up on you, honey”. Number 2: My second favorite Albanian song that also helped me learn Albanian is “Xhamadani Vija Vija.” It is an extremely patriotic song about the fact that Albanians come from lands other than Albania. Since it calls for the unification of all Albanian people, whether they be in Kosovo or Albania, it is politically controversial and ignites the debate surrounding a Greater Albania. It tends to not be used in an official political capacity. A “xhamandani” is a traditional vest worn by Albanian men and “vija” means striped; so the song is about the vest with stripes. It’s a traditional Valle song and I’m pretty sure it is has no official “author” – or at least, I couldn’t find out who it was. Here are the Albanian lyrics. There is no English translation yet, but there is a French one. Here is my English translation of the lyrics. Please feel free to correct me! Kam një lot m’pikon si ar – I have tears that fall like gold. Se në shekuj jam shqiptar – That for a centuries I [have been] Albanian. e kur malet i mbuloj bora – And when the mountains are covered in snow. për atdhe kënges ja mora – for my country, I sing this song. Xhamadani vija vija – Striped vest. është Kosova është Shqipëria – that’s Kosovo, that’s Albania. Rreh si zemër ciftelia – My heart beats like the ciftelia. o sa e madhe është Shqipëria – Oh, how big is Albania! Është një qiell që na bashkon – One sky unites us. E një diell që na burrnon – One sun gives us life. 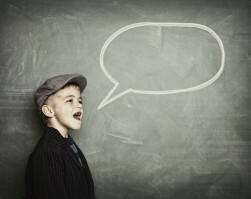 është një gjuhë që flasim tanet – There is one language that we speak. e një toke që e thërrasim nanë – And one land that we call mother. Rruges sime per Shqipëri – My road [went] to Albania. M’ka percjell një Drini i zi – And it followed the black Drin. Dhe u nisa për me ardhe – And it continued on. por si vala e Drinit t’bardhe – like the waves of the white Drin. Number 1: My number 1 favorite Albanian song that I’ve also learned a lot of words from is”Një në një milion” (Or maybe it is named “Mrekullia e 8”) by Alban Skenderaj ft. Dr. Mic. Alban Skenderaj’s lyrics are usually written in standard Albanian, which matches the dialect of my textbooks. This makes it very easy to use his songs to learn Albanian.When Dr. Mic raps, he does so in Kosovar Albanian – being that he is from Prishtina, but it is still pretty easy to understand. Dr. Mic’s real name is Kastriot Rexha and he is 25 years old. I love this song because of it is postivie and catchy. It makes it easy to remember words like “mrekulli” (“wonder”), “vullkan” (“volcano),”parajsa” (“paradise”), and “leviz”, (“to move”). I love the line “Ti je mrekulli e tete mbi k’te planet” (“You’re the 8th wonder of the world”). Here are the lyrics, translated into Italian and Portuguese (no English yet). I’m still working a good translation of “Per ty bota e leviz/Një sekondë mbi buzen tende me braktis”. “The world moves for you. 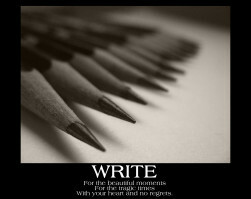 One second on your lips [abandons me?]”. Is “abandon” a good translation here? What is he saying? Thanks!